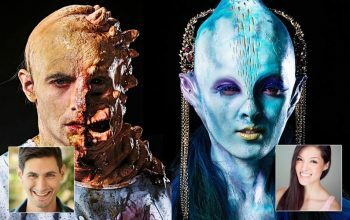 More than 12,000 people have signed signed a petition to try to save Face Off, the Syfy special effects makeup competition series, which the network unceremoniously cancelled by revealing that season 13 would be its last. “It means a lot to all of us on the show to hear their disappoint, their sense of loss, and their hope to keep the show alive,” he added. The bad news: Syfy owns the show and format, which means it’s highly unlikely it would be revived by, say, another network or Netflix. And Syfy’s programming priorities seem clear, at least to me: After Face Off ends, there will not be a single reality or unscripted show on the network. Was the show nearing the end of its life anyway? Perhaps running out of contestants, as some viewers have suggested? “When you put people on the show, there are always some people who blow you away because you weren’t expecting that level of talent from them. And there are other people that you have high expectations for, and sometimes they don’t deliver,” Smith said. “The world of Face Off is a very specialized world—it’s not what you go through in the real special effects make-up world. We have very heightened deadlines and very short timelines, and I think that’s where certain people excel and some people get tripped up,” he added. Face Off, which debuted in 2011, was actually helping to create its own future contestants, in the same way that RuPaul’s Drag Race has inspired people to become drag queens and then apply to the show where they learned about drag. 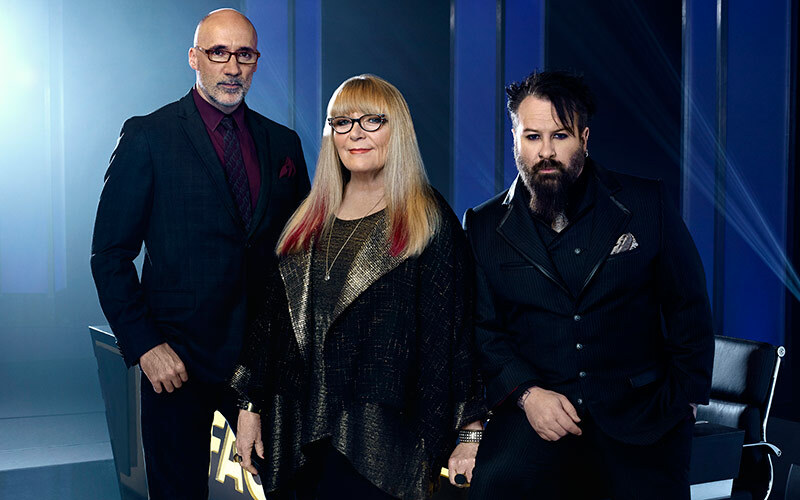 “One of the great things about Face Off is that we started to generate our next wave of contestants because there were viewers who discovered this as an art form, and started going to make-up schools and started to do it because of the show,” he said. Face Off: Battle Royale (Syfy, Tuesdays at 9) has returning contestants and an epic title, but it was not planned as the final season. That’s because producers “did not know when we went into production” that it would be cancelled, Smith told me. The twist this season is that Face Off has individual, um, face offs in each episode. I asked where that idea came from. “We’re always looking for ways to add a layer of creativity or freshness to a season, without changing a show too drastically,” Smith told me. For me, that makes this season somewhat similar to one of the all-time great reality shows, The Chair, which gave two directors the same script, from which they produced two very different feature films. With the series coming to an end—for now, at least; perhaps Syfy might revive it in a few years, if this whole scripted thing doesn’t work out—I asked what what he’d like to do if they could produce the show with an unlimited budget and no constraints. Do more traveling, like the show did in season six, when it went to Japan for an episode. For now, though, his production company will move on to other projects. Mission Control Media also produces Hollywood Game Night, which is returning to NBC for its sixth season, and they’re also working on an as-yet-unannounced Netflix series and several pilots, including one for truTV starring Ken Jeong that will be a “comedic take on medicine,” Smith said. The show’s 250- to 300-person crew worked on two three-day episodes back-to-back, followed by one day off—though that day was often used for contestant interviews, so not all of the crew nor the contestants got a true break. “We’re really fortunate on Face Off that a lot of the crew and staff have been working on it since season one,” he said. The show has given viewers an on-screen glimpse of that crew through the models, many of whom have been on the show for years. “They are so amazing,” Smith said of the models. “I know it looks fun, but what they go through is excruciating, or it can be.” That’s because they often work 12-hour days, sometimes starting at 5:30 a.m., with makeup that can make it hard to eat, drink, or go to the bathroom. “They always elevate the makeups, and they’re just such a great group of people. We love them and they are a big part, an important part, of the Face Off family,” he added.